The City Zip Company is bringing back Zip Now London, the biggest, fastest city centre zip wire in the world, for the third year running. Located in Archbishop’s Park on the South Bank, Zip Now London will feature four lines for the first time from June 12th. Having hosted 43,000 customers in 2018, Zip Now London is extending to launch four riders at a time meaning even more people can experience the thrill of flying at speeds of up to 50 kilometres per hour across the London skyline. The accessible location and exhilarating ride make Zip Now London the unique choice for event organisers who are genuinely looking for something different. 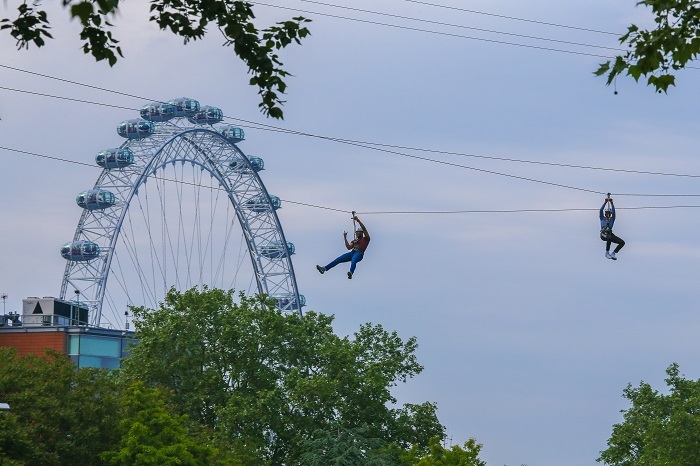 Now extended to cater for four riders at the same time, participants soar through the sky on a 225-metre zip wire taking in the sights of the Houses of Parliament and the London Eye.